A man peers over the edge of the exposed bridge, looking into the water below. It’s a terrible scene, the aftermath of a 1957 Pontiac hardtop busting through the railing of the Warren Avenue Bridge and plunging into the Port Washington Narrows. 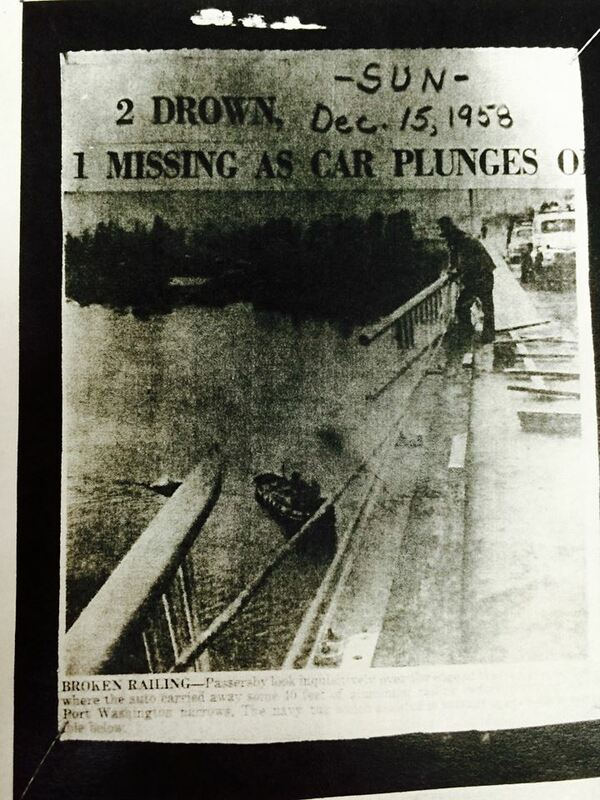 At the time, it was called one of the area’s “greatest tragedies” by the Bremerton Sun. On Dec. 14, 1958 — 57 years ago today — three young men fell to their deaths in that car, mere weeks after the Warren Avenue Bridge opened. The bodies of Gary Lee Hill, 22, and Joseph E. Jenkins, Jr., 21, were recovered with the car right after it happened. But it would take almost a month more to locate the third, that of Gerald R. “Robbie” Clark, 20, who’d been driving the car. Simply put, the crash shocked the community around the holidays in a newly made two-bridge town. Only the new, $5 million bridge’s railings were clearly not made to withstand a car. Only a few years ago, the state installed concrete barriers to prevent that from happening. 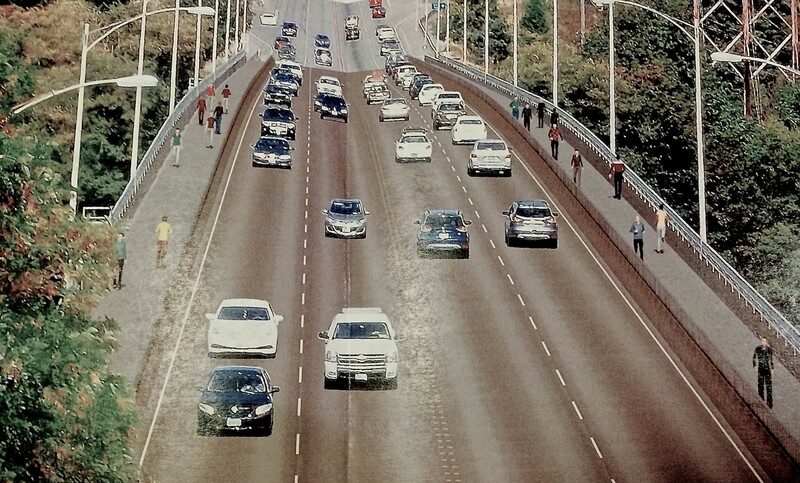 The bridge may be changed again soon to promote greater pedestrian access. “There’d be people looking all over the beach each day,” she said. “That’s what Bremerton became like. Who would be the first to find him? “It was beyond devastating,” she said. Sadly, the bridge has claimed many more lives over the years since those three. 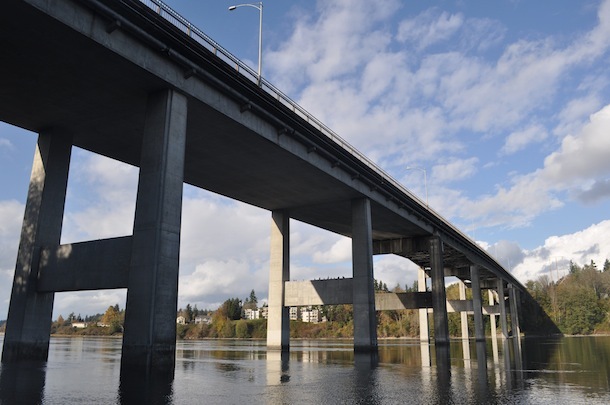 Mick McKinley, a retired Bremerton assistant fire chief, recalled one time when crews were training in a boat below the bridge. A man jumped from the span not far from their boat. “We pulled him in under 20 seconds,” he said. If you have more information or photographs from newspaper coverage of this tragedy, please send them my way and I will update this post. Artist’s rendering of 1010 Burwell Street. But wait, there’s more. 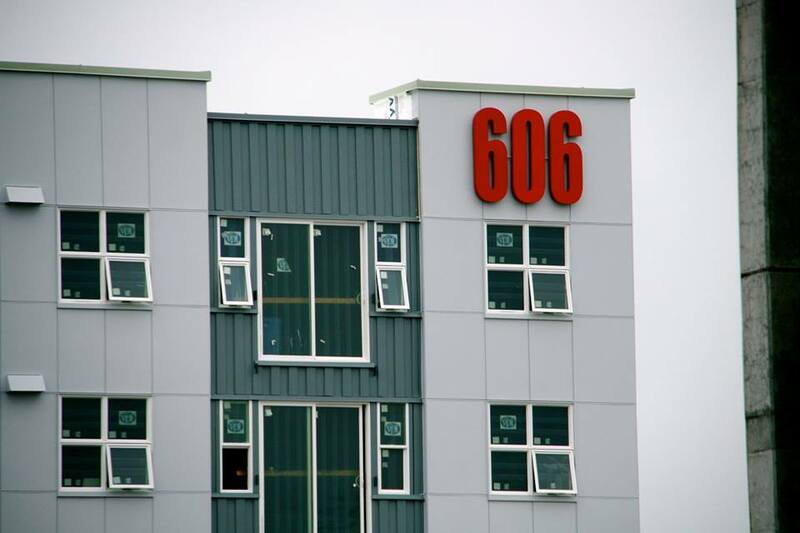 Even after nearly 200 apartment units open in downtown Bremerton in the next year, there are more projects planned around the corner. The next one is located on the corner of Warren Avenue and Burwell Street. 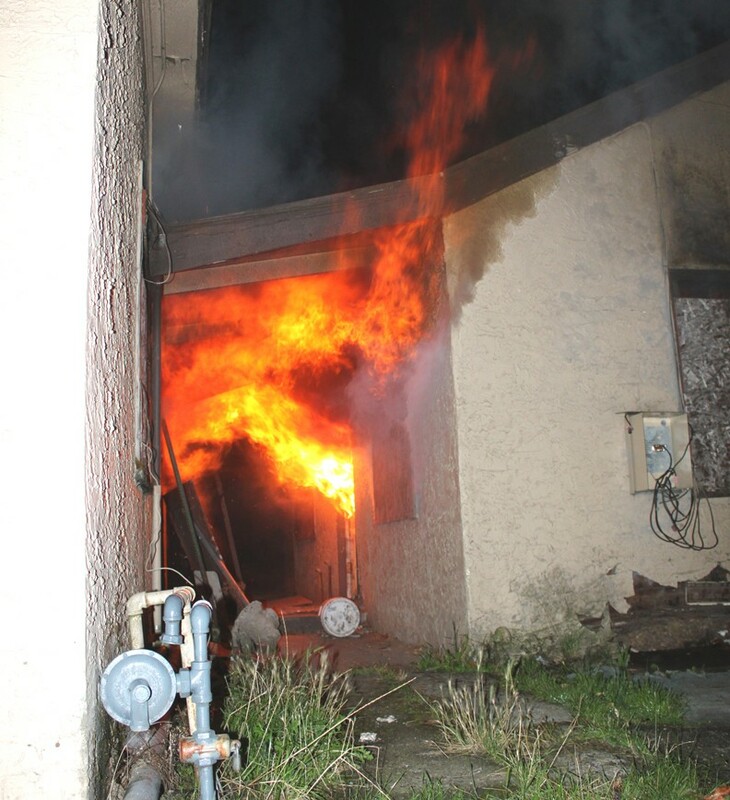 Remember that fire in late September (see photo) that damaged the boarded-up town homes there? It may not be long before bulldozers take them all out entirely and replace them with a 25-apartment complex. The 1010 apartments, planned by the same developers as the ones wrapping up 71-unit 606 project down the street, have recently won approval from the city’s design review board. PJ Santos with Lorax Partners said there’s no timetable yet for construction. The project spans four parcels between 1002 and 1018 Burwell Street, each currently owned by Diamond Parking. Lorax plans to buy the properties when construction looms. 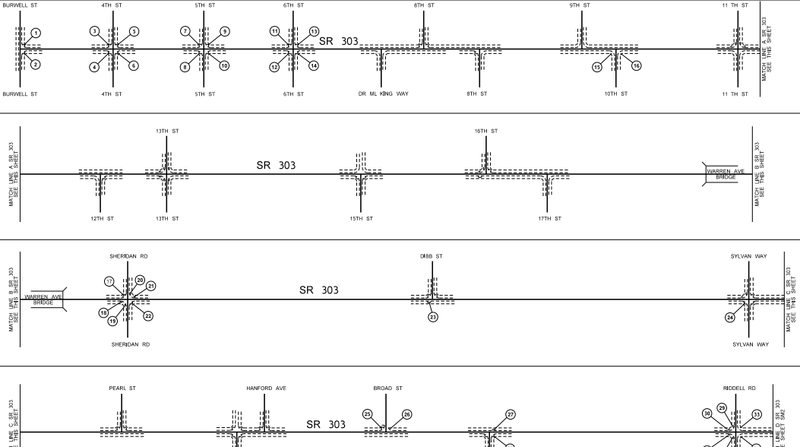 In terms of design, the project cannot be more than 40 feet high. The Navy is asking for that limit along the city’s border with Naval Base Kitsap and the Puget Sound Naval Shipyard as a matter of security. 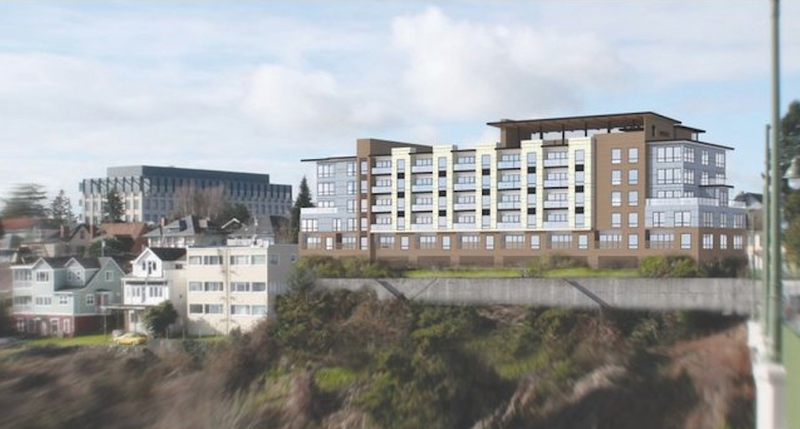 So why is downtown Bremerton getting so much attention from developers? Those I’ve talked to give three main reasons: the Seattle economy is bursting at the seams, the Puget Sound Naval Shipyard is home to 13,000+ jobs (and federal contracts) and apartment vacancies in Kitsap County are nearly nonexistent. A rendering of the floor plan at the 1010. Spyglass Hill: Work is progressing on the $15 million, 80-unit project on Highland Avenue. While it was supposed to open in January originally, later in 2016 is a forgone conclusion due to some earlier delays. 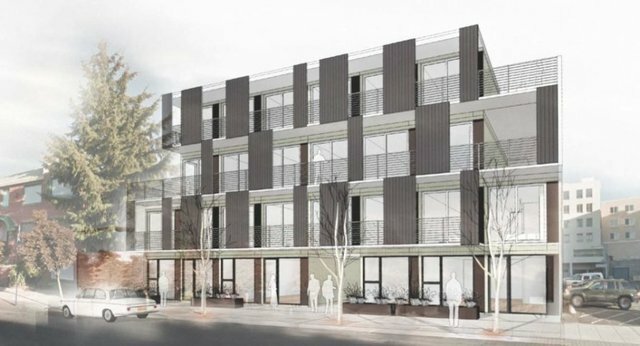 The Monterey: The 48-unit project by longtime Kitsap County resident and developer Dale Sperling (who hasn’t disclosed the price tag) at the former Nite Shift Tavern and Evergreen Upholstery is making its way through the design review board; Sperling expects construction in early spring. The Towers: The massive condo development on Washington Avenue at Sixth Street, pushed through by developer Mark Goldberg but now owned by Absher Construction, has been quiet for some time. 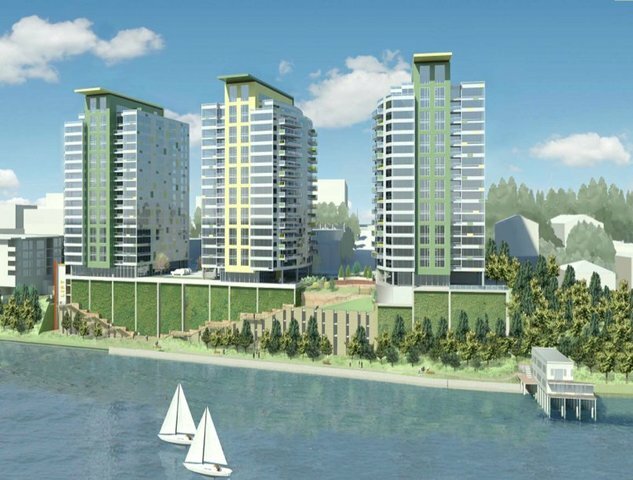 I’ve heard a plan to rejig the development to include apartments, a restaurant and even a hotel, but nothing has come to fruition. The developers did pay more than $200,000 to bury power lines on the street as part of the Washington Avenue project. Evergreen Pointe: The 104-unit complex would straddle Evergreen-Rotary Park on Sheldon Boulevard. This was also once a project owned by Mark Goldberg, but no more. I’ve talked to Kingston developer Trish Williams, who owns it now, and she is optimistic about it moving forward. But nothing is set in stone as yet.